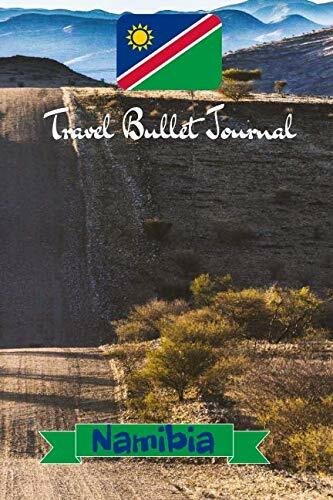 Travel Bullet Journal Namibia: Turn your adventures into a life-long memory with this notebook planner and organzier. Memories are made in an instant, but can last a lifetime. This bullet journal will enrich your experience and ensure your memories last forever, and get passed down to your loved ones. This journal has no prompts. You are not limited to having to answer certain questions. You control the narrative, from start to finish. Please note: Using permanent markers and highlights might cause a bleed through effect from one page to the next, so it is suggested you use gel pens, ball point pens and pencils instead. Test beforehand any pens you want to use to ensure you are satisfied with the results. Inside: Dot grid, 120 pages, no prompts.